As formerly rock-solid revenue streams dry up, many life sciences companies are paying closer than ever scrutiny to operating costs. With people costs one of the greatest, pressure is on the human resources team to prove its value. In this first of three articles, Tom Bradley discusses how hiring processes can be sharpened up, leading to improved accountability and clarity of HR’s value to the business. Rationalisation, leverage of scale, consolidation, efficiencies: this is the ‘new normal’ for the US$875bn global pharmaceutical industry. Whether it’s grappling with so-called patent cliffs, price cuts and reimbursement restrictions, increasing regulation, competition from generic manufacturers – perhaps even all of these – most companies have one thing in common: they need to become leaner, faster, lower cost and more entrepreneurial. This new, harsh reality means the value-for-money spotlight is being turned on support functions such as finance, procurement, IT and HR. In some cases this is for the first time and it’s proving uncomfortable. All of these support groups today must demonstrate they add value to the business by helping drive efficiencies and delivering cost savings. But that requirement isn’t altogether new. When I first joined the pharmaceutical industry as a recruitment manager back in 2001, the industry was still riding on the crest of a wave in terms of blockbuster drug sales. However, even then there was a feeling that the glory days would soon end unless a decline in R&D pipeline productivity could be reversed. I had many conversations with colleagues about how we, as a talent acquisition team, could support overall business strategy using key performance indicators (KPIs). The goal was to show we were at least cost neutral but ideally how we were adding tangible value. This is the Holy Grail of hiring. Everyone wants the best possible candidate for the job. Naturally, in HR we spend a lot of time devising and developing assessment techniques to help match the right person to the right role, based on their technical and behavioural competency. But how often do we actually validate that hiring process? It’s not that easy to do, and frankly a lot of recruiters tend to think their job ends once the candidate accepts an offer. I felt we needed to go a step further than that. A robust assessment process can predict the likelihood of future performance with reasonable accuracy. However, only by following up after a suitable period of employment will you find out how they have actually performed. We used two methods to help us achieve this. First, we asked hiring managers to complete a survey three months after the new arrival started to get their feedback on performance. Second, we looked at performance ratings to see where we had hired candidates that did not make the grade. By doing this, it helped us to look back at certain recruitment campaigns and analyse what we did and where, if necessary, we could make improvements. This is an interesting metric. If you consistently hire lots of people at the same level with a particular, narrowly-defined skill set, then cost-per-hire is simply about dividing the amount spent on recruitment by the number of people hired. But the pharmaceutical sector is complex and technical. It hires people in a range of specialised areas, recruiting new graduates all the way through to Executive Vice-Presidents, with the numbers of each fluctuating annually. Figure A could include advertising agency spend, recruiter salaries, job fairs, travel, executive search and contingency agency spend, plus any other expenses that the department needs in order to function properly. Figure B refers to new employees’ salaries and other benefits. If you end up with a low percentage, you are on the right track to becoming a more efficient department. If there is an industry bench mark and the percentage is higher than it should be, then RCR allows you to analyse where money is spent versus the types of positions that were filled in order to justify the cost, or find ways of being more efficient in the future. In my penultimate role, as a regional head of talent acquisition for a global pharma R&amp,D organisation, each recruiter had specific goals around direct sourcing. These helped demonstrate they were playing their part in not only driving down spend, but also being better networked and more efficient. A recruitment team’s goal is to add value or competitive advantage to their organisation by helping the business recruit the right person for the right role as quickly and as cost-effectively as possible. At the same time, it must also ensure the candidate has a positive experience. Ultimately, they should leave totally engaged and highly motivated by the opportunity they are being assessed for. To do this, it’s necessary to create a value proposition that truly matches the role on offer, ensuring the candidate is fully briefed about job expectations prior to attending the assessment day. A fully trained and motivated hiring team enables search consultants like myself to really drive home the opportunity to the candidate in the most compelling manner. But it’s easy to forget that the recruitment process is two way, the candidate is also assessing the company and weighing up if/how the role fits their career plan. We strive to treat all candidates equally. 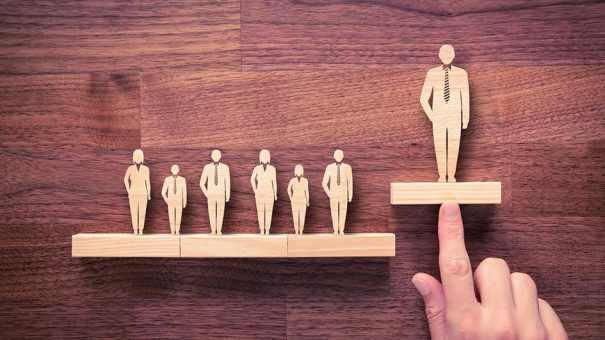 It is important to ensure that even those candidates who are ultimately unsuccessful are left with a positive impression of the organisation. Simple candidate surveys can gauge how you’re performing during the various stages of the process. The information captured will identify the good and the bad aspects of how candidates were handled, and highlight any opportunities for continuous process improvement. As with the candidate experience, it’s also important to measure how effective you are in partnering with key stakeholders. This is a basic requirement for any HR team wishing to demonstrate to the business that it can be called upon as a true business partner at both a strategic and operational level. Again, surveys of hiring managers allow you to focus on areas of improvement, as well as building on areas of success. • How difficult is it to source the right candidate pool? • How quickly can we get them to be assessed and short-listed? • Once a suitable candidate is identified, what’s their notice period? In my previous role, that final point actually made us think long and hard about how we should measure this. We decided, for consistency purposes and taking out the variables in terms of notice periods, to have a KPI based on ‘time to accept’. We felt that anything beyond offer acceptance was really out of our control and therefore not a fair measure of our performance. We looked at the date when a recruiter met with a hiring manager to take an assignment brief on the roles and responsibilities, then calculated the time taken to when a candidate formally accepted the offer. From experience, we knew that the more senior the hire, the longer the process tended to take, therefore the time we allowed as standard was different for entry level graduates through to mid-management and onwards to senior level staff. This really helped our team to focus on being more pro-active and engaging with their key stakeholders as early as possible in the process. Our aim was to develop a strategic sourcing strategy in line with our clients’ workforce plans that would enable us to be more pro-active in building candidate pipelines, thus reducing the need for lengthy advertising campaigns. We had a real focus on developing direct sourcing methods. Our employee referral scheme was re-vamped and wherever possible, we influenced our hiring teams around utilisation of on-line media as opposed to print as it was more cost effective and less time consuming. Recruitment is an inexact science. Nonetheless, as talent acquisition professionals, we need to constantly ensure that we capitalise on advances in technology, whether that be related to sourcing methodologies, candidate management or assessment techniques. We should be regularly refining hiring processes to support our colleagues and clients in the business. Only by doing this can we ensure that they can meet the manpower elements of their strategic business plans. The current cost and operating challenges faced by our sector are unprecedented, to survive and indeed thrive, companies must continually adapt and find better returns on the operating capital they invest. In our specialist role of talent acquisition, it is incumbent upon us to ensure we are doing our bit, measuring our performance on an on-going basis and taking the necessary steps to make improvements. This is one of the key ways we can demonstrate true business partnering to our colleagues. My second article will examine the role in-house executive search teams play in talent hiring efficiency. I’ll be asking if and how cost-savings can be made by establishing these teams and looking at the pros and cons.